Trekking is possible at any time of the year depending on where you are going . The trekking season in Nepal is governed by the monsoon season of the rains, but there are areas in Nepal where monsoon is not not disturbing the trekking activities. October though may is good month during which treks are planned by most of the trekkers, may to September is not trek by many people but the area behind Himalayas like mustang or dolpo are very nice place to trek in this season. 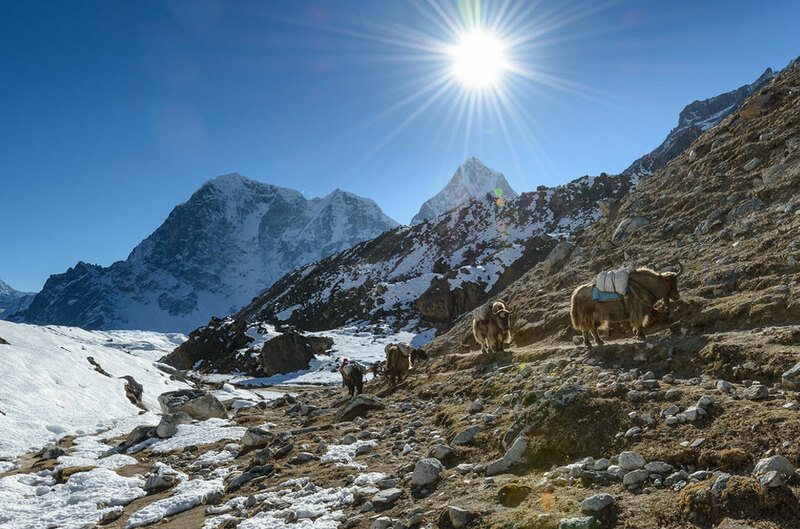 Trekking in Nepal can be undertaken throughout the year depending on the season. A year is divided into 4 different seasons in Nepal and each season has its distinct attraction to offer for trekking and expedition in Nepal. This is the best time when you can expect better visibility, fresh air, and the perfect weather. This season also covers the most important festivals of Nepal like Dashain and Tihar. Autumn season is also known as the best season that offers excellent weather and tantalizing mountain views. This season is noted for occasional snowfall and the air can be quite cold at higher altitude. Hence it is ideal for trekking at only lower elevations, generally below 3000 meters and offers tantalizing mountain views. This is the favorite season to trek in the rain shadow areas like Upper Mustang, Dolpo and Kailash. This season is also recommended for forest researchers and botanist. Mid Sept-October – November/(early)December: this is Nepal’s peak and best time to go trekking. February-March-April: this is the end of the dry season and the second best time of year to go trekking. November/December to January/February: the skies are clear but it can get very cold and there is a risk of passes being closed due to snow. May – June: This is Nepal’s hot pre-monsoon season and it can get very warm indeed. The valleys however are starting to bloom with flowers though. June – Mid September: this is Monsoon season and the least popular time to go trekking in Nepal.